There’s a new era at GQ and the man running the epoch is Will Welch. The dynamic, newly refreshed generation of the magazine has been honed and infused with a stylish new “anything goes” mentality. No more “wear this, but don’t wear that” prescriptions for a man’s closet, but more along the lines of fashion is an individual decision, so be yourself. Will also believes the power of the general interest type magazine is gone and being more niche-driven is the answer to the profitability question. I spoke with Will recently and we talked about all of these new directions and the clear vision he has for GQ. From the creative community from which the magazine lives and breathes to the reader realizing that they are as much a part of the GQ world as the people between the pages, GQ has come alive with new ideas, new passions and a new perspective of individualism and creativity. 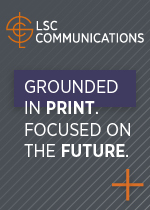 The multiplatform brand has distinctive content and powerful images across the spectrum and Will has innovated the thinking behind the engine of the magazine, while maintaining the authenticity it has earned over its many decades. 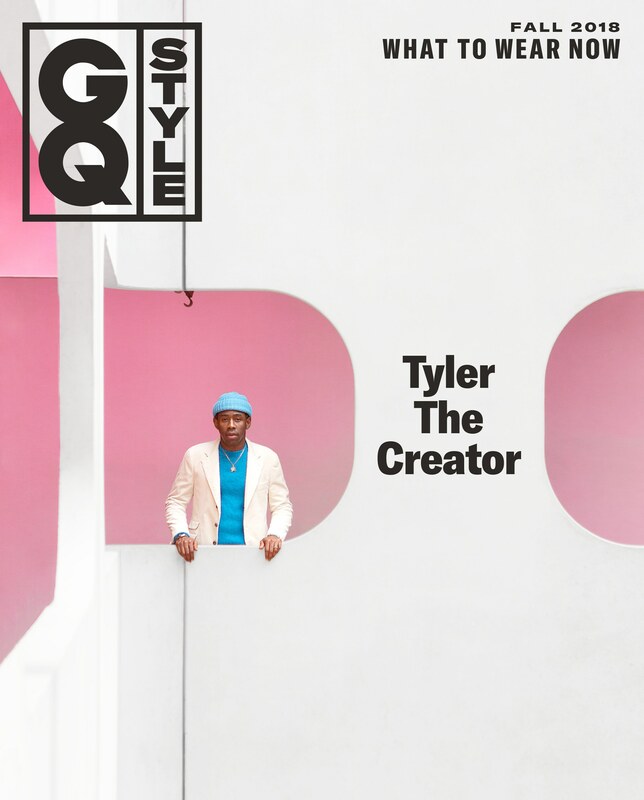 To say GQ has come of age in this new era of magazine making would be an understatement, it has come of age within its own individual era of men’s fashion and style. So, please enjoy the Mr. Magazine™ interview with an editor in chief who is just as comfortable in jeans and a T-shirt as he is in an Italian suit, and makes them both look “GQ” fashionable, Will Welch, editor in chief, GQ magazine. On his vision for GQ under his leadership: I really believe that we have come out of the era of broad general interest being a place of power for magazines. So, instead of trying to be everything to everyone, I want to be really clear about what GQ does better than anyone else on earth and I want to focus on those things. On whether with all of the changes he is implementing at GQ, the brand will be more of a reflector of what’s going on or an initiator of things moving forward: It’s really a balance, and the words that I would use are participation and amplification. One of the first things that I wanted to establish in a really strong way when I started this role was rebuilding a core community for GQ. And that means identifying all of these people in our world. And they’re writers, photographers, stylists, and actors; some of them are super-famous, some are not famous at all and may have more of a creative director role or a guy-behind-the-guy role. This is the community of core people, and not only should they be in the core pages of GQ, but they need to be our first readers and they need to be our community that we’re talking to every day. On whether the changes he’s implementing are trying to bring back the “good-old days” where GQ was definitely different than Esquire: I am an almost completely forward-looking person, I would say. So, the moves that we’ve been making in this new era are not specifically inspired by the relationship between GQ and Esquire from the past. I have been at GQ since 2007, so I’ve been here a long time and have fully metabolized the history of the brand and what it stands for. But I also think that a brand as strong as GQ is incredibly flexible. And I feel completely empowered to really push it to a new place. 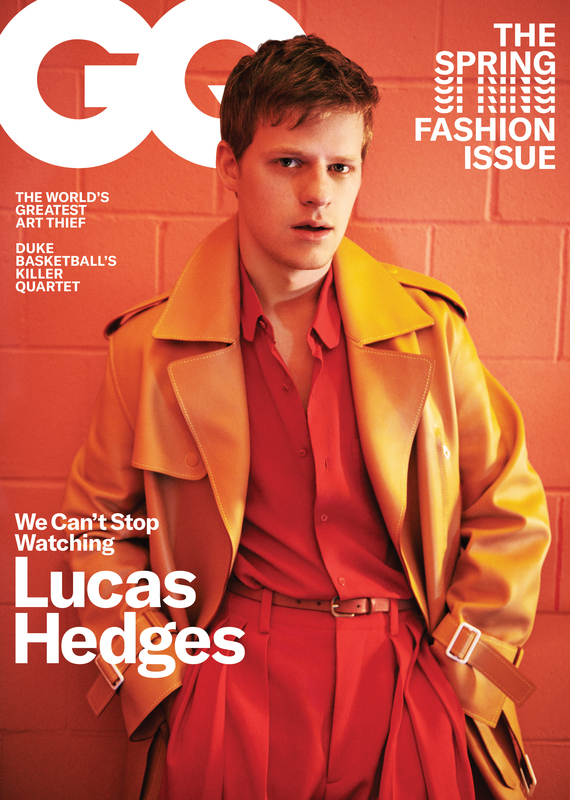 On the reinvention he did with GQ Style and whether he feels that magazine is a little bit different than GQ, and each one should have its own revolution: I think each will have its own revolution. I’ve definitely learned an incredible amount by the experience of launching GQ Style and the radical moves that I made and thinking about what the architecture of that magazine should be and what was possible in terms of the storytelling. On whether he would rather have that one-on-one conversation with his readers, as though friends: The experience of being the editor in chief of the smaller spinoff title, GQ Style, it was an incredible experience, not just on a professional level, but also on a personal level, because I found that the more that I just allowed myself to be who I am, rather than trying to adopt any expectation or image of what an editor in chief or a Condé Nast editor in chief is supposed to look like, the more successful that we were. 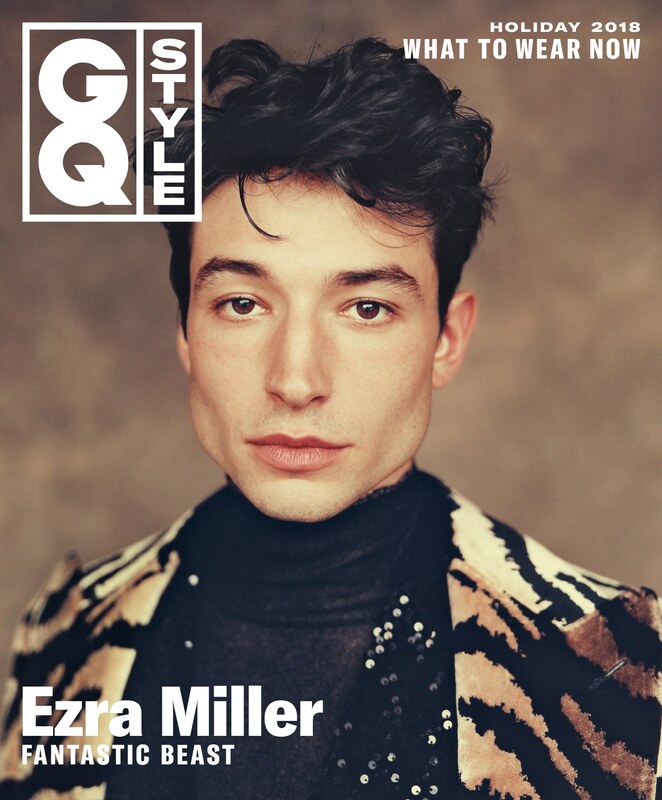 On the biggest challenge or obstacle he’s had to overcome to get to the point he is today: In the early stages of GQ Style, with the first issue, I wanted to prove that it was its own magazine and could stand alone and that it had its own voice. And I was a little bit more calculating with the balance of stories in the first issue and was very methodical about what message that we would be sending to the industry and to our community and our readership, and to our potential readership. I was diagnosed with testicular cancer last year in late 2018, and that was an incredible witness test. It’s one thing to hold all of these beliefs and to hope that you’re living your life in a certain way, and then when you’re faced with a doctor telling you that you have cancer at age 37, although 37 is actually on the older side for that particular type of cancer, but I feel like a young vivacious man, and to be told that you have cancer, you definitely examine your life and ask yourself if you’re really practicing what you preach. On anything he’d like to add: One thing that’s important is that we’re now in this time, especially with social media, which is just incredible, like Instagram is an incredibly intimate format. Podcasting is an incredibly intimate format. Instagram stories are amazingly intimate, you can watch people broadcast themselves waking up in the morning with their partner or with their pet; it’s just deeply intimate. And a title like GQ has to ask itself in this environment, the idea of GQ is this kind of vaunted, haloed thing, but what people want now is a little bit more down-to-earth, but at the same time with GQ, I don’t want to give up this authority that we’ve earned over the decades and the hard-earned gloss that we’ve also earned. So, how do you do both of those things and I think one way, there are many ways, but one way that I really believe in is, as you have identified, I’ve done it through personalizing some of the writing that I’ve been doing, as have many of the other writers and editors on the staff. On whether he thinks the printed page leaves a different kind of impact: I think that one thing that I’ve always loved, whether it’s an early interview with Kanye where he was talking about a particular uncle who had a stack of GQs in the living room that was his height, or some friends that have texted me pictures of each issue of GQ Style saved in chronological order on their shelf; I think with print we are leaving a different kind of record behind in that it is a documentation of a moment. On the biggest misconception he thinks people have about him: There is a funny one, very low-key, it’s not a big one, but we’ve really been evolving the look and feel of the fashion in the pages and because with my first editor’s letter I was wearing jeans and untied shoes, and then I did this other interview about the future of the suit, and so people have been asking if GQ was turning away from the suit, (Laughs) because for years we’ve been the champions of the suit and I would just like to say that I’m wearing a suit right now; I was wearing a suit yesterday. Tomorrow, I don’t know, it may be a suit and it may not. We haven’t turned our back on the suit. On what keeps him up at night: What keeps me up at night and the sort of next phase in this new era of GQ is really getting all of the things that we’re doing moving in the same direction. We’ve been working really hard together as a team to articulate exactly what this new vision is for GQ. And I think it’s already pretty dialed in print, because with print you have the opportunity to…each month it’s just blank pages, there is a stop and a start to building each issue. And now the lightly edited transcript of the Mr. Magazine™ interview with Will Welch, editor in chief, GQ magazine. Samir Husni: You write in your latest editorial that this is a new era for fashion; it’s like a freestyle. Tell me your vision for GQ under your leadership. Will Welch: I really believe that we have come out of the era of broad general interest being a place of power for magazines. So, instead of trying to be everything to everyone, I want to be really clear about what GQ does better than anyone else on earth and I want to focus on those things. And first among those is fashion with a focus on men. GQ has long been perceived as and really is the flagship of men’s fashion in America. And if you stop somebody on the street and ask them what GQ means to them, they’ll say men’s style. I think in a way we’re returning to that core and really imbuing the entire brand, everything we do and we do so many things now across all of our platforms, with this sense of taste and stylishness. That is really the foundation of everything we do. And making sure that when people think about GQ it’s not just how to get dressed, but it’s how to be stylish in a way that is forward-thinking and progressive. So, I think that’s a part of it. And then one really important way that the landscape of how men dress has shifted is we’re in this “anything goes” era. We’re seeing dress codes go away; there was a lot of news made recently when Goldman Sachs announced that it was softening its dress code, going more business-casual. And also, with the Internet, basically in the past when designers were creating clothes they would find an inspiration and they would go digging in libraries and watching old movies and going deep into archives to explore one throughline for their collections, and now it’s all at your fingertips online. So, we’re seeing where you could make a great case for the 1950s being back in style or the 1960s, ‘70s or ‘80s or even the ‘90s, so all of this is happening at once. And I think when we see a seismic shift in the way people are dressing, it’s really important that GQ be configured in a way that has the right combination in responding to that and then leading the way forward. So, we’ve been making all sorts of changes to reflect the way that I see what’s going on in the style space. And that means we’re taking a little bit less of a “do this” or “don’t do that” approach, like buy these pants, not those pants; you want your suit to fit this way, not that way. So, in this environment where anything goes, we want to be this aspirational board of ideas almost, rather than this super-prescriptive do this, don’t do that finger-wagging. I just don’t think the modern audience responds to that. To give you a more technical example of the way that’s working, we’ve really taken a lot of the traditional-style service journalism that has been a part of the pages of GQ and moved it to GQ dotcom, where we find our audience comes looking for it, because it’s the audience that wakes up every morning and checks GQ dotcom style section first who is looking for it there, but so are readers who are just searching and coming to GQ dotcom through Google. So, in a way what we have is this magazine that is incredibly elevated and aspirational on this really beautiful, luxurious environment, and then you have some of that simple service that our readers have always wanted, which we’re still doing, but we’re bringing it to them on GQ dotcom. Samir Husni: I have been looking at some copies of the original GQ, from the late 1950s and early 1960s, and one copy I have has President Kennedy on the cover. And the editor was just singing praises about what an honor it was to have the president of the United States, donning his suit with two buttons instead of three. 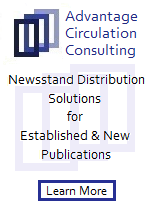 There has always been a dual role with the magazine, on one hand it initiates things and on the other hand it reflects. As you approach the new GQ with all of the changes, and with having the multiplatform where you’ve moved service to dotcom; how do you see your role as editor, and the magazine as a brand? Will you be more of a reflector of what’s going on or an initiator of things moving forward? Will Welch: It’s really a balance, and the words that I would use are participation and amplification. One of the first things that I wanted to establish in a really strong way when I started this role was rebuilding a core community for GQ. And that means identifying all of these people in our world. And they’re writers, photographers, stylists, and actors; some of them are super-famous, some are not famous at all and may have more of a creative director role or a guy-behind-the-guy role. This is the community of core people, and not only should they be in the core pages of GQ, but they need to be our first readers and they need to be our community that we’re talking to every day. And we need them to feel like GQ is the magazine that truly gets it, like that’s “my” voice, that’s “my” magazine, that’s “my” outlet. We need to interact with them every day on Instagram; they’re texting me when a new issue comes out and telling me what they think about the cover. It was hugely important to me and one of the first things that we had to do, was to reestablish that connection to our creative community, who of course are very broadly influential in our world. In other words, the power of GQ radiates through them. But they’re also doing all of this really interesting stuff themselves. And so rather than GQ’s pages reacting to what they’re doing or leaving them and saying that they’re following us; I see it as we’re participating in this community of creative, plugged in people who are doing interesting stuff in the style space and in the culture space. They’re political reporters and the best photographers in the world. So, we’re participating in a dialogue with them and creating content sometimes with them, but often about them as well. And then we’re able, because GQ is this massive platform, as you said, it has this incredible history and we’ve really built authority and audience over the years, so then we’re able to take the best of what’s happening in this community that we’re a part of, and really amplify it. I think that’s a slightly different way of thinking about the role of GQ. But for me it was really the starting place; how do we rebuild this brand in this new era? I have to say that so far it feels like it’s really been working. These very influential creative people who, like us, are just pouring themselves into this work every day, they’ve really been responding to what they’ve been doing. They’ve been writing for the magazine, shooting for the magazine, while other people have been featured in the magazine. And when I’m onset with some of the people who we have put on the cover in these first few issues, who are these types of people, I find a moment when onset for the shoot to tell them that I’m interested in this not being a onetime transactional relationship, where we put them on the cover and they further their career or promote a new project they have going on, and we all just brush off our hands and move on when it’s done. Instead, how can this be an ongoing conversation and how can GQ be part of their world? When they have their next project, they call me again and we create something cool together. So again, it’s about participation and amplification, instead of us just being this completely secondary source that is reacting or determining what is good and bad. Samir Husni: The amazing thing to me, and I don’t know if it came to you subliminally or intentionally, but when Esquire launched GQ back in the fifties, they did their best to differentiate between the two magazines. And GQ was more of the fashion-driven title. Are you right now trying to bring back the “good-old days,” where GQ was definitely different than Esquire? Will Welch: I am an almost completely forward-looking person, I would say. So, the moves that we’ve been making in this new era are not specifically inspired by the relationship between GQ and Esquire from the past. I have been at GQ since 2007, so I’ve been here a long time and have fully metabolized the history of the brand and what it stands for. But I also think that a brand as strong as GQ is incredibly flexible. And I feel completely empowered to really push it to a new place. It’s kind of a both ends situation where, I’ve been here for quite a long time, obviously not since 1959 (Laughs), but I’ve been here for a long time and really do think that I know where we come from, and rather than feeling like I have to serve that or pay homage to it in some dutiful way, I really feel like that gives me the flexibility to push it someplace new. And to trust that I will be honoring the history of the brand by going with my gut instincts. Samir Husni: And those gut instincts served you really well when you took over the helm of GQ Style and reinvented that magazine. Last time we spoke, it was more like a revolution, where you just destructed the whole magazine and got rid of some of the traditional things in the front and back of the book. Are we going to see something as revolutionary as that? Or is this Will-Style and you’re looking at it like GQ Style is a little bit different than GQ, and each one will have its own revolution? Will Welch: I think each will have its own revolution. I’ve definitely learned an incredible amount by the experience of launching GQ Style and the radical moves that I made and thinking about what the architecture of that magazine should be and what was possible in terms of the storytelling. But GQ Style also has a really unique format in that the advertisements, in addition to being oversized and printed on beautiful, thick paper, the advertisements are banked as spreads in the beginning of the magazine, and then you have some singles with the table of contents and the editor’s letter and that sort of thing. But then once the editorial pages proper begin, it’s just all double-paged spreads all the way to the end. And that was sort of a radical format that I received almost as a gift and then I really wanted to see where we could push it. So, there were elements of experimentation, a lot of which I think were really exciting and successful in GQ Style that don’t apply in a one to one way to GQ, which has a little bit more of a traditional structure. There’s a front and middle of the book which has single-page ad adjacencies and then there’s a traditional feature well too. But those structural differences aside, I have been challenging myself and the whole team here to really think about what is possible. These are blank pages that we’re given every month and we really get to do whatever we want with them. I’ve been talking a lot about just trying to free ourselves of too much institutional memory, in terms of what print magazines are supposed to do, so that we can really look at each page and each story in a fresh way. And we’ve already been making a lot of the moves; my third issue as editor in chief, the April issue, came out recently and we put the cover online; it has J. Cole on the cover. There have been quite a few moves that we’ve made to make it different and I think what I intended and what we’re finding so far in the reaction is that people are really noticing a difference, but I don’t think it’s in any way like unrecognizably GQ. We haven’t transformed it so much that large portions of our audience are confused or wondering what happened to it. (Laughs) But at the same time it seems like everybody notices the difference. So far I’ve just been thrilled that the reaction has been incredibly positive. Samir Husni: We seem to be seeing a shift from the celebrity editors to more of the down-to-earth person editors. In your case, I’ve read some of your editorials in GQ Style, you get very personal, even discussing your battle with cancer. Are we seeing a transformation in the magazine business, would you rather have that one-on-one conversation with your readers, as though friends? Will Welch: The experience of being the editor in chief of the smaller spinoff title, GQ Style, it was an incredible experience, not just on a professional level, but also on a personal level, because I found that the more that I just allowed myself to be who I am, rather than trying to adopt any expectation or image of what an editor in chief or a Condé Nast editor in chief is supposed to look like, the more successful that we were. So, that applied to the stories that I would find, the covers that we went after, the way that I approached writing my editor’s letter, and the way that I interacted with my team. And then also with the way that I presented myself in a more public way to the world at large. And I just found that the more I trusted myself to be who I am in my gut, it was right. And I’ve done a lot of personal work over the years to try to align the person who I am in my head and my heart, in my family with my wife, to who I am when I show up at work and who I am if I do an interview or have my photo taken or hold a meeting; all of those things, I just really try to have all of those things be aligned. And I’ve found that as I’ve done that, not only do I just feel good about myself, but we also have been having success in the work. So, it’s really just been a matter of gaining confidence and trust in myself that I don’t need to be anybody else’s idea of what the editor in chief of GQ should be. I just need to be myself. 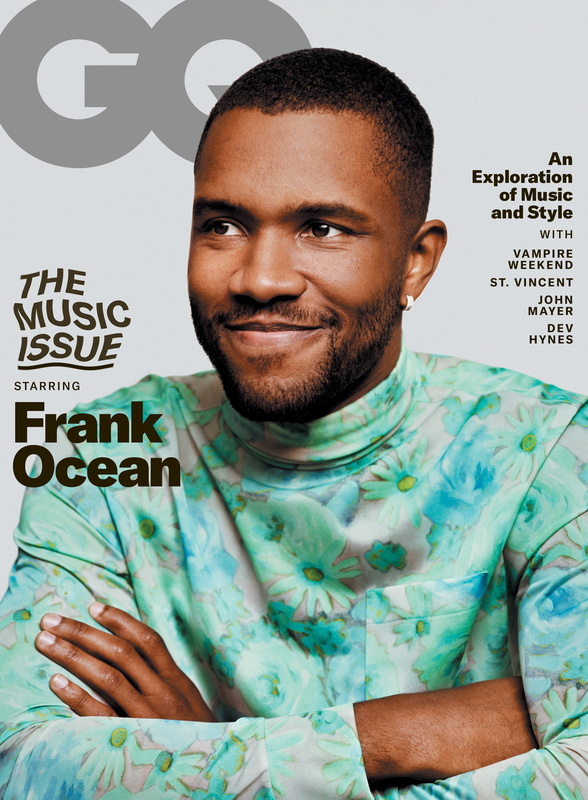 In a way, sure we’re a men’s fashion and style magazine and we’re a lifestyle magazine and we do these incredible reported features, and there are all of these proud histories and different throughlines for what GQ is about or what it is meant to accomplish, but to me it’s really about helping our readers to be their best selves. And I’ve been trying to do the same. Samir Husni: Being yourself today, what do you think has been the biggest challenge or obstacle that you’ve had to overcome to reach this stage? Will Welch: In the early stages of GQ Style, with the first issue, I wanted to prove that it was its own magazine and could stand alone and that it had its own voice. And I was a little bit more calculating with the balance of stories in the first issue and was very methodical about what message that we would be sending to the industry and to our community and our readership, and to our potential readership. But over the course of making the first handful of issues, I just found that I didn’t need to be so calculating, I could just be more instinctive. 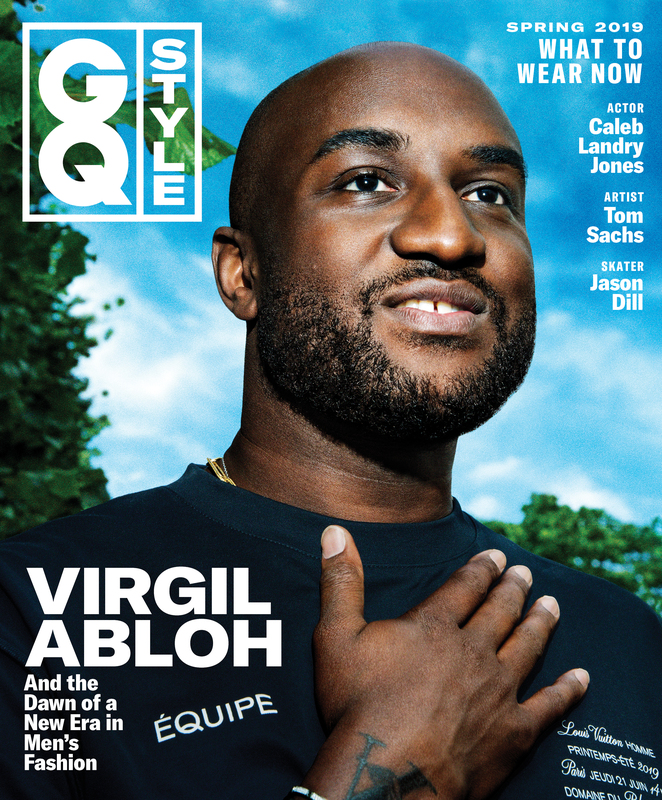 There’s an editor that I hired, now he works on GQ and GQ Style and GQ dotcom, but I initially hired him to work on GQ Style and his name is Noah Johnson and he was the GQ Style senior editor throughout the course of the last few years of making that magazine. And he grew up in Troy, New York as a skateboarder, and he was bringing all of these amazing skate ideas, because the way I see style through the lens of music, he sees style through the lens of skateboarding in a lot of ways. As I was finding that the more I let my best ideas just be what they were, as Noah started getting all of these skateboarding-related content into GQ Style, that stuff really took on a life of its own. So again, it’s not just about me, it’s about the staff as well. Just getting to be their best selves through the pages. 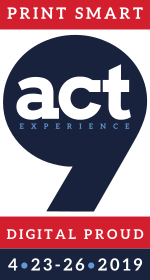 So, just that process was one thing, and then the other would be what you mentioned; I was diagnosed with testicular cancer last year in late 2018, and that was an incredible witness test. It’s one thing to hold all of these beliefs and to hope that you’re living your life in a certain way, and then when you’re faced with a doctor telling you that you have cancer at age 37, although 37 is actually on the older side for that particular type of cancer, but I feel like a young vivacious man, and to be told that you have cancer, you definitely examine your life and ask yourself if you’re really practicing what you preach. How square is the life I’m living with the life that I would like to think that I’m living? And when I asked those questions when faced with that experience, I was just filled with so much gratitude for what I felt like were the answers that came back. So with those two experiences, one was like more of a slow building of self-confidence over a couple of years, the process of leading this little team and this little magazine called GQ Style, and the other one was being faced with what could have been a frightening moment and found that I was just so full of gratitude. I went into surgery and had a healthful prognosis and I’m very grateful for that as well. Those two experiences were nice benchmarks for me and have given me a lot of confidence going into this new role. And the experience of sharing about it was really powerful. The decision to write my editor’s letter about the testicular cancer diagnosis; I was really unsure if I was going to regret that decision. But instead, it was quite the opposite. There was an incredible outpouring of love and support and some readers saying that they had gone through the same thing, or their moms had breast cancer; just every imaginable response. It all came flooding back when I put that out there and it was an incredibly rewarding experience and also just a testament to the power of the platform. You’ve been on this editor’s letter page at the front of an issue of GQ Style, if you say something meaningful to people this amazing dialogue will come out of it. It was remarkable. Will Welch: One thing that’s important is that we’re now in this time, especially with social media, which is just incredible, like Instagram is an incredibly intimate format. Podcasting is an incredibly intimate format. Instagram stories are amazingly intimate, you can watch people broadcast themselves waking up in the morning with their partner or with their pet; it’s just deeply intimate. And a title like GQ has to ask itself in this environment, the idea of GQ is this kind of vaunted, haloed thing, but what people want now is a little bit more down-to-earth, but at the same time with GQ, I don’t want to give up this authority that we’ve earned over the decades and the hard-earned gloss that we’ve also earned. So, how do you do both of those things and I think one way, there are many ways, but one way that I really believe in is, as you have identified, I’ve done it through personalizing some of the writing that I’ve been doing, as have many of the other writers and editors on the staff. But we are also increasingly looking at GQ dotcom and our incredibly powerful social media platforms, and our absolutely, enormously thriving video platform, as opportunities to turn the staff and the way the brand is structured inside out a little bit and show some of the mechanisms and say this is a bunch of cool and talented, diverse men and women who are making an impact. GQ is not this glowing brand on a mountaintop; it’s made by cool people like you who really love this stuff and live and breathe it, whether that’s pop culture or politics, style or long-form journalism, eating, drinking, or travel. It’s really just put together by the hard work of some really interesting people. And so we want to put those people forward and now we have all of these incredible pools to do that, specifically social media and video and occasionally the pages of the magazine. That’s something that we’ve been mindful of and I do think it’s a little bit different. It’s been evolving over the years. I remember first noticing Jane Magazine doing this. You really got the sense of this cool community of stylish girls who were making this magazine and the pages were really imbued with their voices, so that was kind of a predecessor of the way that we’re thinking now and we also have all of these cool pools to bring it to life. Samir Husni: What you are introducing in print also is amazing. When I look at the couples that you publish, or the family, such as Simon Rasmussen, Marz Lovejoy, and their daughter, Nomi; do you feel that the impact a print page can have is different? I mean, this would be a fleeting moment on Instagram, but when you can hold it in the magazine, you’re still looking at it, but it’s tangible. How do you decide what goes into print and what goes on Instagram? Will Welch: I think that one thing that I’ve always loved, whether it’s an early interview with Kanye where he was talking about a particular uncle who had a stack of GQs in the living room that was his height, or some friends that have texted me pictures of each issue of GQ Style saved in chronological order on their shelf; I think with print we are leaving a different kind of record behind in that it is a documentation of a moment. One thing that I think is really fun about magazines in general is they’re not gone in a flash, but they don’t have the permanence of books either. In a way, you want to pick up a book and feel like it should be as relevant today as it was the day it was printed. A magazine is intended, I’ve called it in the past, it’s semi-permanent. It’s like the semi-permanent documentation. You want a magazine to feel urgent and timely and of the moment, but the stories should also be worth printing in a way that can stay on somebody’s shelf or in an archive. So, it’s really a balance. I love the immediacy of social media; I love that my Instagram stories go away after 24 hours. They just evaporate. That is really exciting to me. If you’re interested in image making and editorial and all the things that I’m interested, that presents its own unique opportunity. What do I want to say with this image or this short video that’s broadcast out to my followers and then just goes away? That’s an awesome editorial opportunity. With a magazine, it’s only on sale for a month, but then it hangs around longer, that is its own incredible opportunity. And digital in one sense feels more fleeting, but you can Google any story that GQ has published in the last 12 to 15 years and find it on GQ dotcom right now and read it for free. So, there is also digital archiving going on. All of these dials are really fun to play with. It’s exciting to me that you called out the fact that we’ve shot couples because I just love shooting couples. Basically what I’m looking for in our photographs is for them to strike you visually but also emotionally. And I feel like taking an intimate portrait or going to do a travel story with a couple and they’re not a couple that we have cast and put together for the trip, but they’re actually partners in life, you just get something interesting and dynamic and electric and intimate. 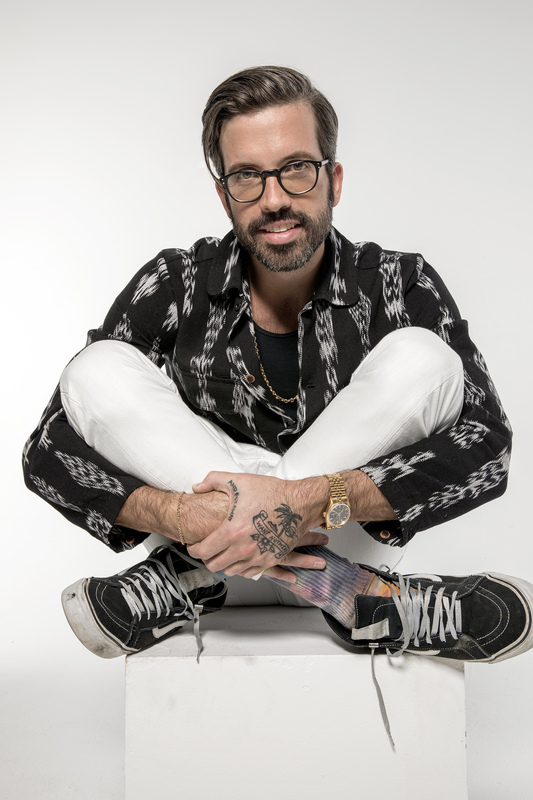 We published a photo of Simon Rasmussen, who is editor in chief of Office magazine and he does some styling for us, he is a really interesting stylist. He and his wife Marz Lovejoy, and their baby Nomi are in a picture together and Marz is breastfeeding Nomi. And it was a cool, young, stylish influential, exciting family in our New York fashion community, let’s put them in the pages of the magazine. And again, I’ve really been thinking of these early issues as an active community building and that’s just one example. They’re an influential couple in the New York fashion community; Simon works with us, I got to know Marz just a little bit through seeing her and Simon out and about. I’m still getting to know them. I know Simon much better because we’ve done a bunch of shoots together, but they’re interesting people and I want them to think of GQ as an outlet for them and also hopefully it’s a magazine that they can’t wait to grab every month. And that they are super-engaged with what we’re doing online. I grew up in Atlanta, Georgia, so if a reader in Atlanta sees that cool community being established between GQ and Simon and other people like that, they can be a part of that too from Atlanta. That’s what we’re building. Will Welch: There is a funny one, very low-key, it’s not a big one, but we’ve really been evolving the look and feel of the fashion in the pages and because with my first editor’s letter I was wearing jeans and untied shoes, and then I did this other interview about the future of the suit, and so people have been asking if GQ was turning away from the suit, (Laughs) because for years we’ve been the champions of the suit and I would just like to say that I’m wearing a suit right now; I was wearing a suit yesterday. Tomorrow, I don’t know, it may be a suit and it may not. We haven’t turned our back on the suit. I’m just really interested in exploring all modes of men’s styles, some of them are super-conservative and some of them are super-progressive. So, that’s just one little thing that’s popped up in the last few weeks. Otherwise, I don’t know. I don’t feel misunderstood, I feel like the GQ community and the magazine industry and the fashion industry and the culture industries, music and Hollywood; I feel like people are still getting to know me. As I said, I started working at GQ in 2007 and really it’s been a slow evolution with me having a more public-facing role. I feel like me and the world are just getting to know each other; I don’t feel particularly misunderstood. Will Welch: What keeps me up at night and the sort of next phase in this new era of GQ is really getting all of the things that we’re doing moving in the same direction. We’ve been working really hard together as a team to articulate exactly what this new vision is for GQ. And I think it’s already pretty dialed in print, because with print you have the opportunity to…each month it’s just blank pages, there is a stop and a start to building each issue. But with GQ dotcom and our social feeds and our video channels, especially on YouTube, those are always on and they’re just churning and churning. And so to redirect any one of them, you can’t just do it overnight, it has to be a steady evolution. That is really what this next phase is. It’s making sure that all of those pieces, because we are a multi-tentacle brand. We push out so much really cool content everyday across all of these different platforms that we have at our disposal. And I just want to keep refining the vision and keep evolving what that vision means to each of those platforms, because I think you have to be really platform specific, even just within Instagram itself. Instagram stories are best at something that is incredibly different when you really get into it than what works on the Instagram main feed. But you have to think about each of those things as their own editorial idea. To give you an example, what we do in the magazine is quite polished, but what thrives on Instagram’s stories, what’s exciting and gives you a thrill is something that’s really raw. So, how can this legacy Condé Nast fashion/style magazine that has always prided itself on incredible polish find a raw expression that is going to be in keeping with the environment of Instagram stories? So, that is what the team and I talk about every day and we’ve already made huge strides, but I do think we have a ways to go still across GQ dotcom, video, social; each minute piece of each of those platforms, such as how can we be using Twitter in a more compelling way instead of just pushing out links. And we’re doing it; we’re doing it every day. I just want to keep refining. That is the next phase in terms of the internal priorities. In the meantime, I feel like we’re off to the races with the broader vision and this idea of focusing on elevated stylishness. We’ll just keep going with that. The other thing I would say is just keep having fun. I love this work; I love this role; I love this job; I love this title; I love my team. And I truly believe, and if it sounds a little bit like a Hallmark card, so be it, I don’t care, I truly believe that if we’re having fun making this stuff that our audience will have fun reading it, watching it, and engaging with it. That to me is the key. I am excited to come to work every morning and if the other people on the team feel that way too, I think people are going to be excited to wake up every morning and check out what we’ve been doing.